Now that warmer weather is finally here, it’s time to spruce up your heating and cooling system. Regularly scheduling HVAC services, such as duct cleanings and thermostat replacements, will keep your family cool and reduce energy costs throughout the season. Here are a few ways to update your air conditioning system this spring. 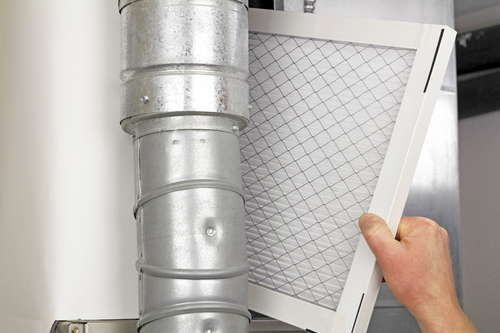 Your air filter is responsible for trapping debris and keeping your home’s air clean. Spring is the perfect time to have your filters cleaned or replaced. Removing pet dander, dirt, and other trapped contaminants will help your system run more smoothly by allowing air to circulate. Preventive maintenance is the best way to prolong your heating and cooling system’s life span. Schedule a spring HVAC inspection to make sure your system is running at its optimal performance. Your technician will clean out your duct system, make any necessary repairs, and suggest ways you can conserve energy. If you have a heating and cooling system that’s more than 10 years old, consider a replacement. An older unit needs to work harder to cool your home during the spring, which will lead to sky-high energy bills and an inconsistent temperature. You’ll enjoy a more comfortable home by upgrading to an Energy Star®-rated air conditioning system. Gain control over your heating and cooling system by upgrading your thermostat. Modern models can often be programmed via smartphone, making it easy to control your thermostat and keep the air conditioner off while you’re away from home. For more advice on how to stay comfortable this spring, speak with the home energy experts at Adams Heating & Cooling in West Springfield, PA. Whether you require water heater maintenance or HVAC service, you’ll have peace of mind with their extended warranty protection on all products. Learn more about their HVAC services by visiting them online or calling (814) 922-7786.